Oh, and this recall isn't limited to just the Fiesta ST.
Modern cars are very complex machines, with everything from touchpad screen technology to controlled explosions wrapped up in specially-developed metal alloys engineered to be able to handle impacts. Because of this complexity, things can go wrong, and it’s up to automakers to correct those areas before something bad happens. The latest automotive recall comes from Ford, who just issued a safety recall for some 230,000 vehicles in North America, all of which are powered by 1.6-liter turbocharged four-cylinder engines. 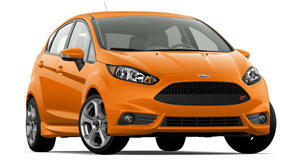 The 2014-2015 Fiesta ST hot hatch has this very engine, and is subject to the recall. 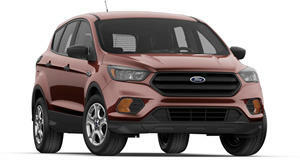 Other affected Ford models include the 2014 Escape, 2013-2014 Fusion and 2013-2015 Transit Connect. What’s the problem exactly? Ford says there’s a "lack of coolant circulation," and the resulting overheating can potentially lead to cracked cylinder heads that leak oil, which, in turn, could cause a fire under the hood. Fortunately, no injuries have been reported but there have been, at least so far, 29 cases of fires. 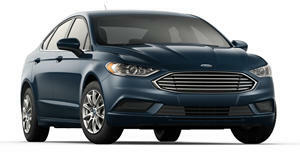 Owners of the affected vehicles will receive instruction from Ford on how to properly maintain coolant levels. “Customers can continue to drive their vehicles, but should see their dealer if their vehicle exhibits a coolant leak, overheating, or frequently needs coolant added,” Ford stated in the official recall notice. “When service kits are available, dealers will install a coolant level sensor with supporting hardware and software at no charge.” Yes, recalls are annoying for customers, but they’re also expensive for automakers. This recall alone is costing Ford, along with another one just issued over a door latch issue on a few other models, $295 million.